Old-timers will remember a time when hanging out in Noida was something that had to be defended with a solid back story. It either involved a fellow Noida dweller, or not enough pocket money to make the trip to the capital. Of course, half of this is also because we didn’t have great options this side of town, right? Welcome these lat(t)ecomers who’ve filled the lives of Noida peeps with joy and java. These cafes have made it possible for us hold our head high and wipe off that cappuccino moustache without being judged for our choices. Group hug, everyone! 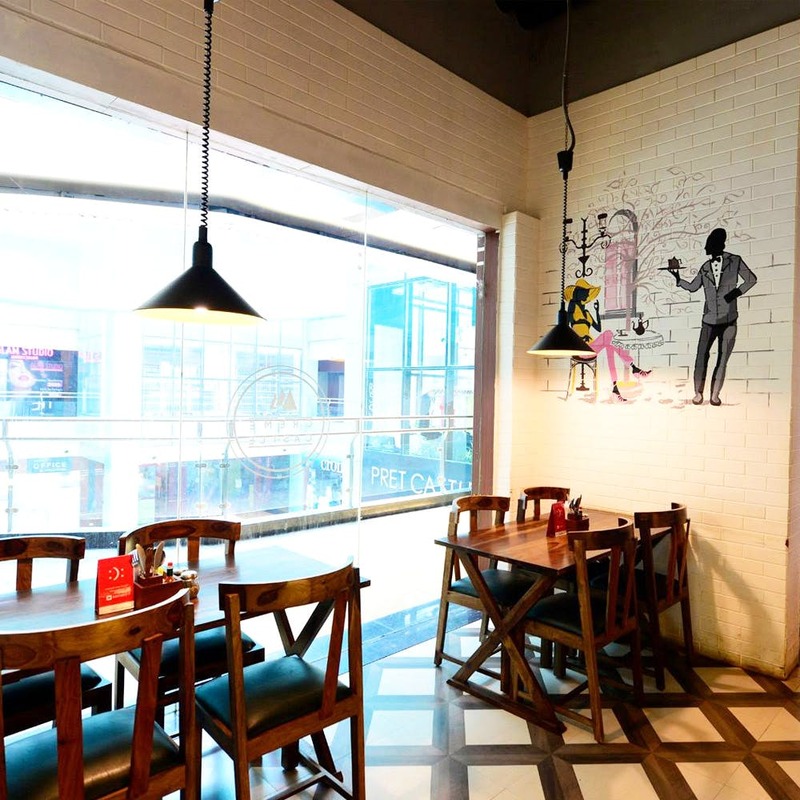 This Noida cafe looks like it came straight out of Berlin—filter coffee in wooden cups, white walls, and pretty decor all around. They source the freshest ingredients for their food as well. This bakery in Greater Noida has been gathering a lot of loyalists since it set up shop. Enjoy its woody interiors (and the little cuckoo clocks) and we recommend you order the Cheesy Fries or the Exotic Pizza, if you’ve got a bigger appetite. Go froth and conquer their cold Hazelnut Mocha or Vanilla Latte. Don’t want to experiment? Stick to the Cafe Frappe. We’re probably making a beeline for their Red Velvet Waffle. Forgive us, but we can’t 'espresso' our love enough for this place–the leader of the cool revolution. Anyhow, we’ll just leave you with the confession that Theos has mastered the brew code and has been satiating our random cravings for cold coffee, smoothies and jumbo shakes for a long time—and it’s pretty darn successful at it. There’s something magical about freshly ground and brewed coffee and when it comes from a cosy family-run cafe that believes in just good food (minus the pretense), we’re sold. Pair their amazing cold coffee or classic espresso with sandwiches or seasonal cakes that are all hearty and healthy.